A neutral city straddling Europe and Asia, Istanbul survived the Second World War as a magnet for refugees and spies, trafficking in secrets and lies rather than soldiers. Expatriate American businessman Leon Bauer was drawn into this shadow world, doing undercover odd jobs and courier runs in support of the Allied war effort. 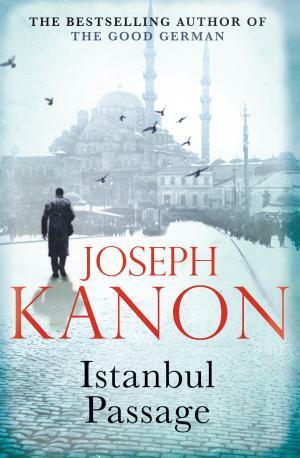 I followed Leon Bauer on his adventures through Istanbul while I was travelling Turkey, so it’s no wonder I really enjoyed this book. There is something magical about sharing a common space with your protagonist of the moment. Kanon’s depiction of the espionage scene is both effortless and authentic, resulting in a fantastic novel that requires minimal suspension of your disbelief. This book is recommended for all crime fiction fans, people who like historical fiction and any prospective travellers heading to Turkey. have fun!